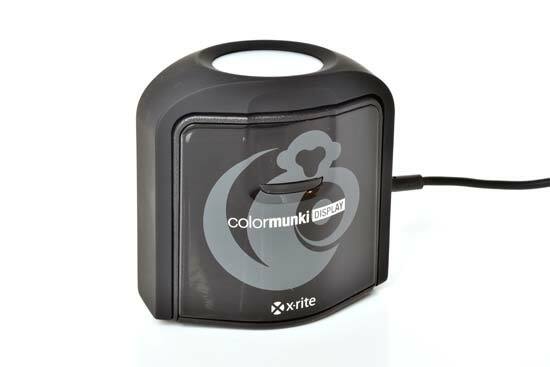 The ColorMunki Display sits in the middle of X-Rite’s trio of ColorMunki colorimeters, providing more control and versatility than the entry-level ColorMunki Smile, but without the printer profiling capabilities of the ColorMunki Photo. 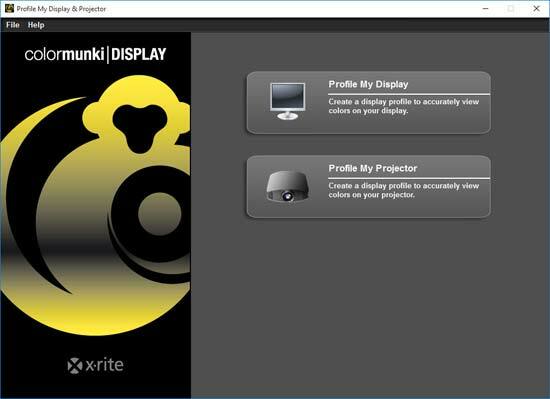 The ColorMunki Display is designed for monitor, projector and mobile device colour calibration. Like its ColorMunki siblings, the Display is pitched at photographers and creative enthusiasts, rather than industry professionals, and includes accompanying software with a strong focus on ease of use, while still including essential customisation options. 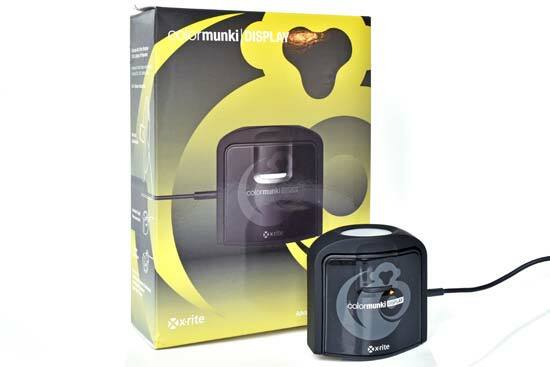 Features that set the ColorMunki Display apart from the more basic Smile include projector calibration, as well as ambient light detection to automatically adjust a colour profile to compensate for variations in the intensity of ambient lighting. You also get Flare Correct, which adjusts the calibration to compensate for glare reflecting off your monitor’s screen. 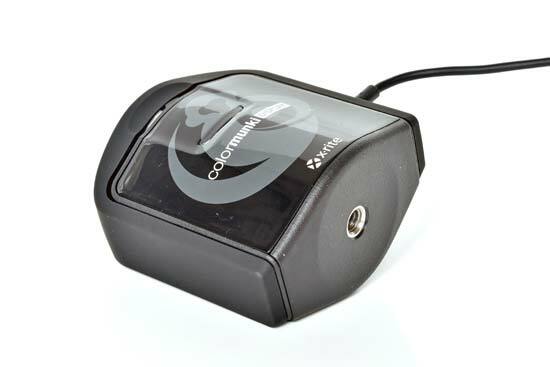 The ColorMunki Display currently retails for around £119/$164, putting it in competition with Datacolor’s slightly cheaper Spyder 5 Xpress and its marginally more expensive Spyder 5 Pro. Colour calibration was once the preserve of media professionals who needed to ensure exacting colour consistency between monitor output and print media. Consequently the calibration process can be daunting when technical terms like ‘LUT’, ‘white point’, and ‘delta-e colour difference’ are thrown about. 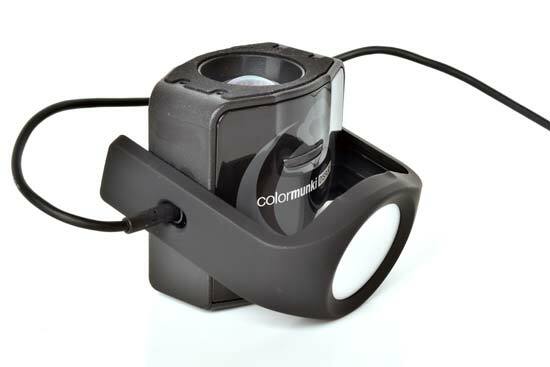 The ColorMunki range – or specifically its software – has been designed to minimise jargon and make colour calibration as simple and painless as possible. The ultimate expression of this philosophy is the pared-down ColorMunki Smile, which uses a wizard interface almost completely free of technical terms, making it about as friendly and simple as you could imagine. However, while the Smile has no compromises in its calibration accuracy, you’ll need to step up to the ColorMunki Display if you want even a moderate amount of control over the calibration process. To profile a standard LCD display panel, there are two wizard options: Easy, and Advanced. 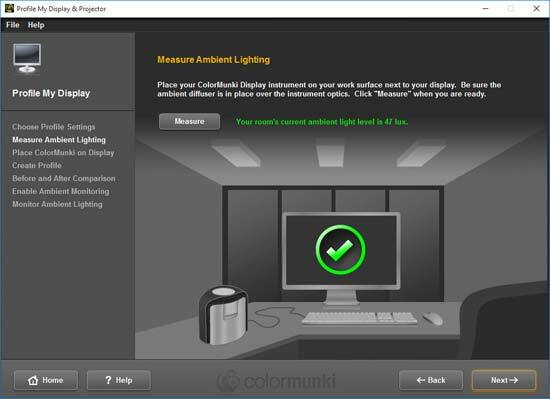 In Easy mode, you’re first instructed to place the colorimeter on your desk so it can measure the brightness of the ambient light around your workspace so your monitor brightness can be adjusted accordingly. With this set, it’s time to rest the ColorMunki Display against your monitor for colour calibration, and it’s here that the devices only real flaw becomes apparent. 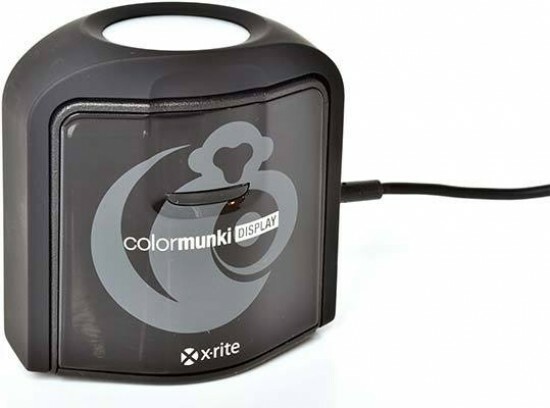 Where Datacolor’s Spyder colorimeters – and to a lesser extent, the ColorMunki Smile – have a relatively large footprint, the ColorMunki Display shares the same physical design as X-Rite’s i1Display Pro. It’s tall, narrow shape is prone to rocking around on the surface of the computer screen when you positon it to calibrate, and the problem isn’t helped by the position of cable input which can drag and tip the device from side to side. The reason this is problematic is that if the colorimeter doesn’t sit completely flush against your screen, ambient light leaks could corrupt the calibration result. You can get it to sit tight once your monitor is tilted up and after some delicate positioning, but it’s a pity it feels less stable than some rival designs. Once in place, the software displays a full-screen slideshow of various colours which are analysed by the colorimeter and compared to its predefined ideal colour values. 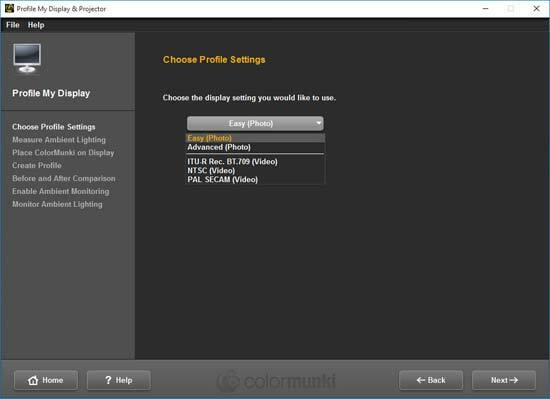 After the 5-or-so-minute slideshow process is complete, the device determines the discrepancies between your monitor’s colour output and its ideal colour measurements. This data is then used to automatically create a colour profile that’s tells your graphics card to adjust its colour output to compensate for your monitor’s inaccuracies. After the calibration is complete, you can then choose how often to activate ambient light monitoring. This will automatically adjust the new colour profile to factor changes in ambient light, or simply notify you of any changes. 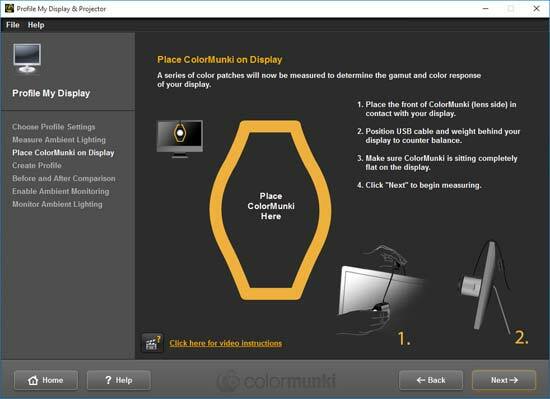 Either way, you’ll need to have the ColorMunki Display plugged in and placed near your monitor for it to continually analyse ambient light levels. 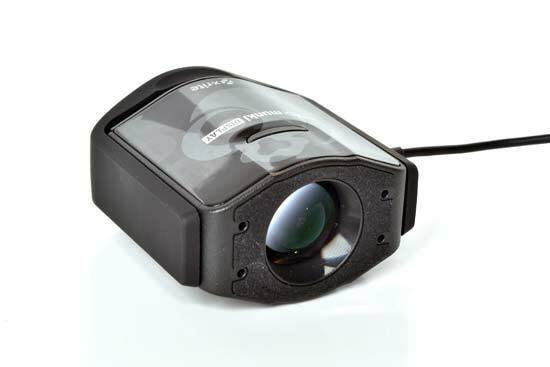 A hinged diffuser panel slides over the lens of the colorimeter to help it measure light more evenly and, while also adding some protection from dust and dirt. Calibrating in Advanced mode is much the same as in Easy mode, however more options appear throughout the process, and a two extra stages are added: Advanced Options, and Measure Flare. Before reaching the advanced options, you get to set white point (equivalent to camera white balance, default D65 value equating to 6500K colour temperature), and it’s possible to define your own preferred display luminance (monitor brightness). 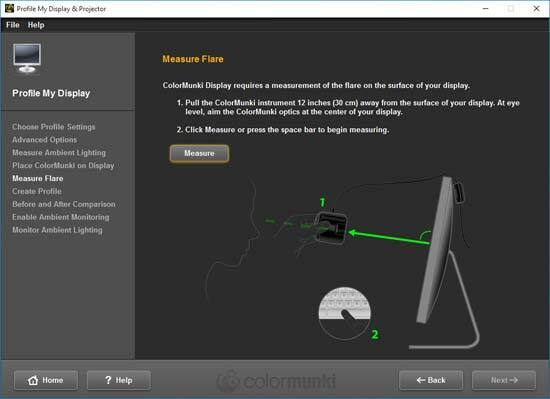 In Advanced mode, once the calibration colour test procedure is completed, you can then use the ColorMunki Display to measure the amount of flare/glare reflected off your monitor. You simply point the device at your screen from a distance of around 30cm, and despite no visible activity, it detects if there’s any flare and adjusts the brightness aspect of the calibration profile accordingly. In addition to the options contained within the calibration wizard, there’s also a small preferences menu. 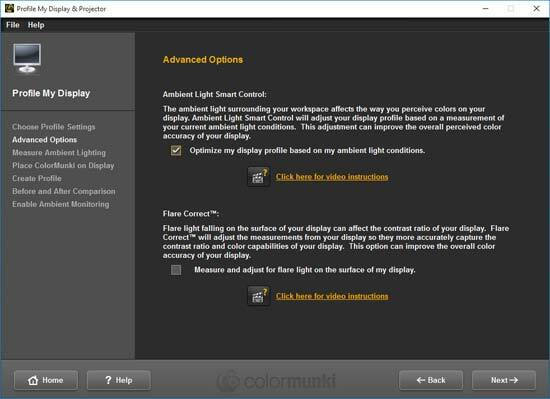 One of the half-dozen options here lets you set your monitor’s backlight type, as this can affect its colour characteristics. 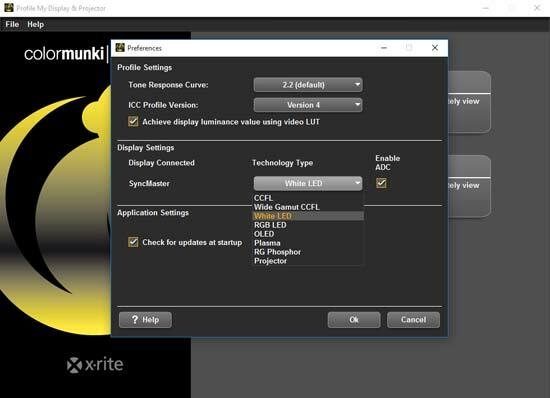 The default choice is CCFL (fluorescent), however with many monitors moving to LED backlighting, you may find it necessary to change this setting to ensure the calibration is tailored to your monitor’s backlighting technology. Although we found that switching between CCFL and white LED options didn’t noticeably alter the resulting colour profiles for our test monitor, it’d seem logical to move this option to the initial stages of the main calibration wizard to ensure it isn’t overlooked and calibration accuracy isn’t compromised.